A new Mi Store is scheduled to open at the end of the month at the Gateway Mall in Cubao. This makes four with another one on the way. 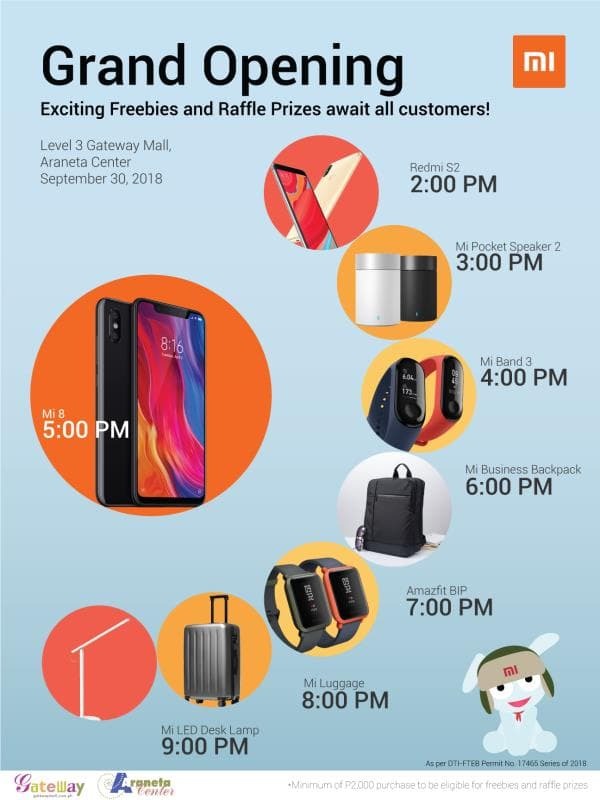 The new Mi Store will open on September 30, 2018, 10AM. It will be located on Level 3 of the Gateway Mall, Araneta Center, Cubao. If you want to know what items you can buy at official Mi Stores, you may check out this link. Customary to all their local store openings, this one will also have its own opening day freebies and raffle prizes. 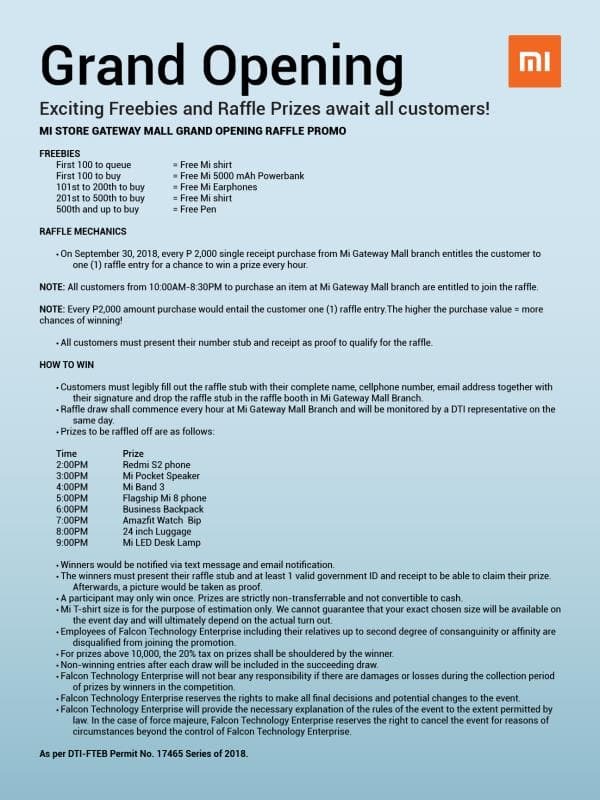 Aside from the usual t-shirts giveaways, those who will purchase items on opening day worth at least PHP2,000 entitles them to one raffle entry for a chance to win prizes every hour starting 2PM to 9PM. That’s a total of eight (8) prizes. This will be the fourth official Mi Store in the Philippines. Other branch locations are in TriNoma Mall, SM Megamall, and SM City North EDSA. A fifth store will soon open at the SM Mall of Asia. TriNoma Mall – Level 4 beside Cinema 5, TriNoma Mall, North Avenue, Quezon City. Contact Number: (02) 717-1980, 0995-879-9075. SM Megamall – 4/F Cyberzone, Building B, SM Megamall, EDSA, Ortigas, Mandaluyong City. Contact Number: (02) 903-6482, 0922-856-0194. SM City North Annex – 3/F SM City North EDSA, Quezon City. Contact Number: (02) 759-8334, 0966-763-9048. Bryan is a tech and gadget enthusiast. He spends his day blogging, writing fiction, and watching NBA clips on YouTube.